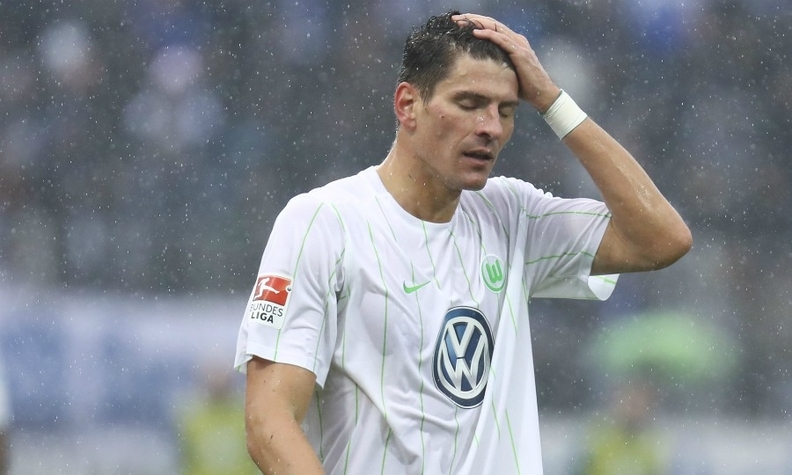 VW's sponsorship of Wolfsburg has allowed the team to buy top-level players such as Germany's Mario Gomez. BERLIN -- Vfl Wolfsburg, the soccer team owned by Volkswagen Group, faces cost cuts next season after retaining its place in Germany's Bundesliga with victory in a playoff on Monday night. VW subsidizes its local club Wolfsburg to the tune of about 90 million euros ($100 million) per season even as the automaker grapples with billions of charges for its diesel-emissions scandal which broke in September 2015. Two sources at VW said on Tuesday the carmaker was planning to trim the budget for Wolfsburg in the next season which is due to start in the middle of August. They gave no details. "Management and the supervisory board's executive committee will sit down and further analyze the season," VW executive board member Francisco Javier Garcia Sanz said in an emailed statement on Tuesday. "Then we will jointly take the decisions," added Garcia Sanz, who is also head of the club's supervisory board. Wolfsburg overcame local rivals Eintracht Braunschweig 2-0 on aggregate in the playoff, a 1-0 win on Monday night helping to ensure their survival while Eintracht remain in the second tier. Wolfsburg finished third from bottom in the Bundesliga, a sign of how the team has declined since winning the German Cup in 2015 and reaching the Champions League quarter-finals in the following season. Of the 18 Bundesliga teams, the VW-owned club ranked fifth on market value in February at 184 million euros ($205.6 million), compared with 579 million for record 27-times champions Bayern Munich, according to data provider Statista.